Audiotonix announces the acquisition of Solid State Logic (SSL) as part of its expanding Group that already includes leading audio brands DiGiCo, Calrec and Allen & Heath. 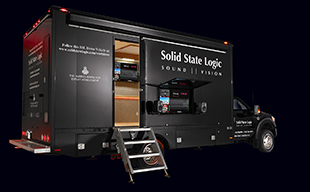 Chessington, England — Audiotonix is pleased to announce the acquisition of Solid State Logic (SSL) as part of its expanding Group that already includes leading audio brands DiGiCo, DiGiGrid, Calrec and Allen & Heath. The deal which was concluded today brings together the top flight of the world’s mixing consoles companies.